Modern televisions are beautifully slim but those good looks often come at the cost of decent sound quality. The World Cup in high quality live video is great but without that atmosphere of the crowd or nice clear commentary, the beautiful game can be a little less beautiful. That’s why a soundbar, or a soundbase, is a great way to make sure you get the best World Cup experience. They’re affordable but pack a lot of audio punch for the price. They’re also small enough to fit in easily and can actually enhance the look of the room in many cases. Why do you need a soundbar or soundbase for the World Cup? Cramming in a pair of speakers, not much bigger than those in a laptop, means most TVs have pretty poor sound quality. Many are manageable but once you hook up some decent audio equipment it’s tough to ever go back to just the TV alone. Soundbars and soundbases are one of the simplest but most effective ways to enhance TV audio as most are plug and play, they take up very little room and actually look good, too. While there are 5.1 surround sound options many 2.1 soundbars use virtual surround to make you feel immersed anyway. Which soundbar or soundbase is best for the World Cup? 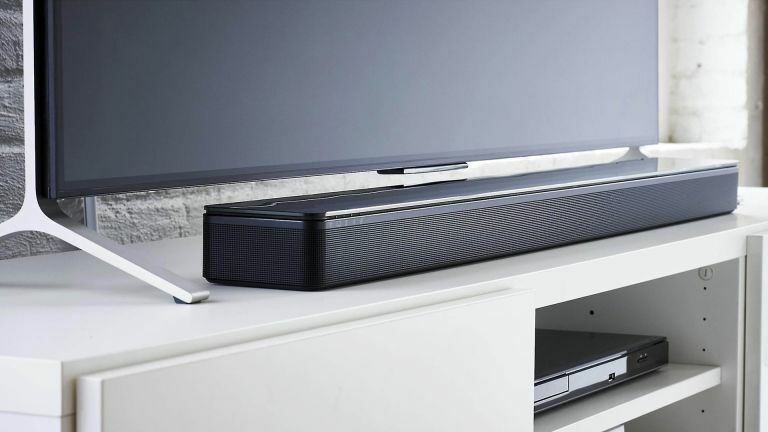 The difference between a soundbar and soundbase is simple. Soundbars generally are long thin speaker systems that sit in front of the TV with a subwoofer on the floor. Soundbases are flat boxes that go under the TV and generally have subwoofers built in. As a result of the space saving advantage of soundbases they are less common and more expensive. The two main things you’re looking for here, when it comes to audio, are bass to help add to the drama of the atmosphere and some decent speakers that can clearly reproduce the commentator’s voices. Sky’s Soundbox has a sport mode that can help get this balance just right. Check out our Sky Soundbox review to find out more. If you want to go for something a little less pricey then perhaps the LG LAS355B is a good option at £102 with 120W of power and Bluetooth to connect your phone, ideal for music during the ads. If you’re splashing out on a soundbase then the Canton DM75 2.1 Soundbase with built-in sub and virtual surround sound, is a solid option at £299. Of course two prime soundbar and soundbase options, as featured in out best soundbars for 2018, are also available in the forms of the Q-Acoustics M3 Bluetooth Soundbar for £269 or the slightly more affordable £249 M2 Bluetooth Soundbase also from Q-Acoustics. How do you set up a soundbar or soundbase correctly? This can be simple, or less so depending on what you have at home. If you’re connecting a TV to the soundbar or soundbase then often the best option is to use the optical cable provided. This means if you have a set-top box setup to your TV with HDMI, you won’t need to worry about more input and output cables, just run the optical directly from the box. If you want to wire the soundbar or soudbase into both the TV and set-top box, or perhaps another device, you may need to opt for both optical and HDMI. So be sure to have an extra HDMI cable or two around so you can make all the connections work right from taking your new device out of the box. This article is brought to you in association with AO.com, which is currently offering up to £300 cashback when you buy a large screen TV.